It was looking like one of “those” days. You know. The days where nothing seems to go right and you just want to go to bed, hit reset, and start the day over. Well, we know we can’t really do that. but what can we do? I was driving home from a fiasco of a trip to the DMV (2 trips actually) and these thoughts are going through my mind: Maybe I’ll take a nap and hope the days resets, maybe I’ll drown my stress and sorrows in brownies…and this pops into my head: “count it all joy”. That made me pause. 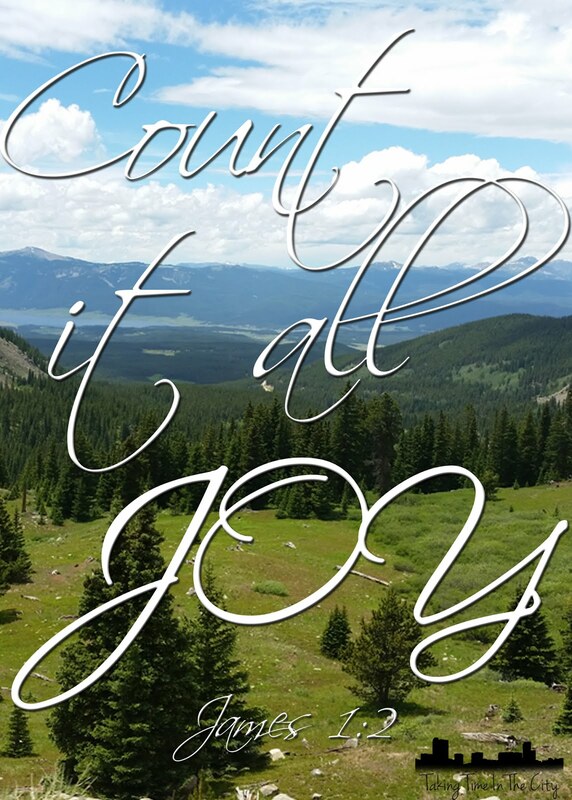 Count it all joy. That pulled muscle in my neck…count it all joy…I pulled that muscle as I lifted my son up in the air and he was laughing and smiling. A precious moment. That miserable wait at the DMV while my 19 month old is crying, coughing, and his nose it running…count it all joy…I’m blessed to have the 19 month old. So many people wish they had children and don’t. Also, our DMV is fairly fast, so the wait wasn’t too long. That moment when I realize I somehow didn’t make it home with the new registration and license plate stickers…count it all joy…the DMV is a very short car ride away, and they had found the envelope that I somehow dropped. And so driving down the road starting to feel sorry for myself, but honestly not wanting to, my day reset. A peace and joy washed over me. What a lesson in a morning that could have easily turned my whole day into a “bad” day.